Clean, lean and chic-white is the perfect palette cleanser for fall. Did I say white for fall?! Yes I did! 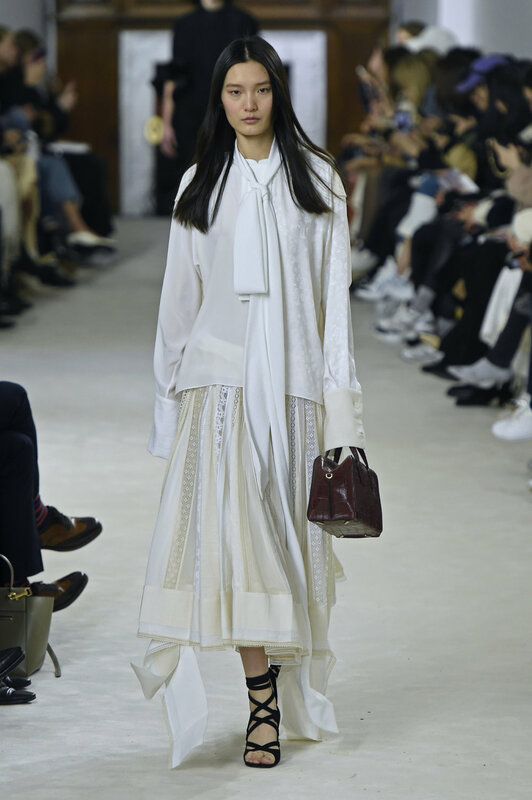 Whether you go for romantic and flowy like prairie skirts and ruffles to slimmer and leaner with an ankle pant and blazer, take this trend and mix and match it in a variety of ways this season. I know it can feel wrong to wear white in the fall, but it is totally on trend and appropriate! So toss out that dated “No White After Labor Day” rule that binds your style. Don’t be boxed in babes! If it scares you to go too all in with an all white look, do it in small steps. Here I have the soft ruffle dress and took it to an edgier place with the leather crop jacket. Take your style and make trends work for you! I am an edgy city girl, meets soft and feminine! So for me, the soft and flowy dress with the edgier jacket is the perfect blend of my styles.